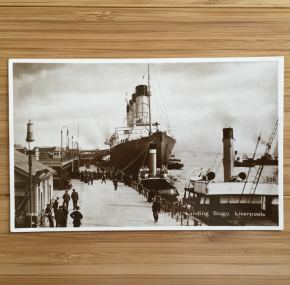 Impressive real-photo postcard of the Lusitania at the famous floating Landing Stage in Liverpool. She cuts quite the figure here with those funnels, does she not? Unused and in excellent condition.